The weekend before last Adam and I took a couple days off of work and headed to Seattle for a long-weekend getaway. 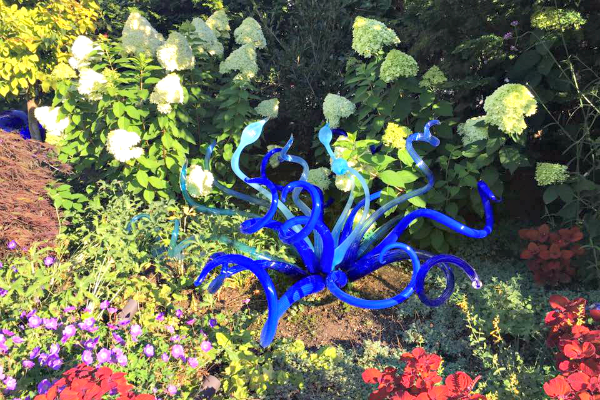 We had such a great time and did so many fun things in the city, but we both agreed that Chihuly Garden and Glass was our favorite. As uncultured as this will make me sound, I’m not usually a fan of museums or art exhibits. I don’t mind visiting them, but I would never list them as a trip highlight. 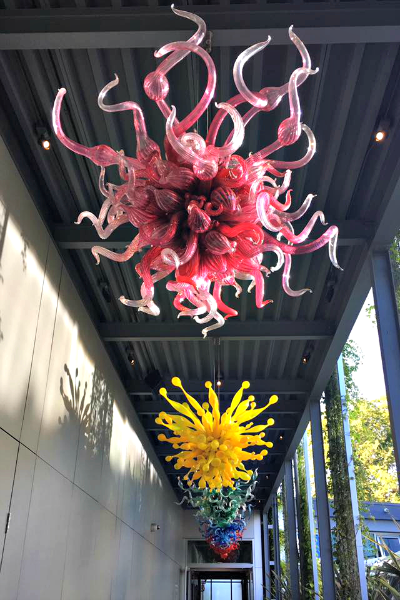 Chihuly Garden and Glass was seriously that good. The picture below is the first exhibit in the gallery (Glass Forest) and it’s so cool looking. I’m trying to convince Adam to take a glass blowing class with me now. I’ve never been interested in trying it until visiting this place…of course I’ll be lucky if I make a decent looking paperweight. The focal point of the Sea Life Room is this 20 foot glass tower. If you look closely, you can see starfish and other sea creatures within the wave, seaweed like glass pieces. It’s kind of hard to tell from the picture, but this is a ceiling (Persian Ceiling)! 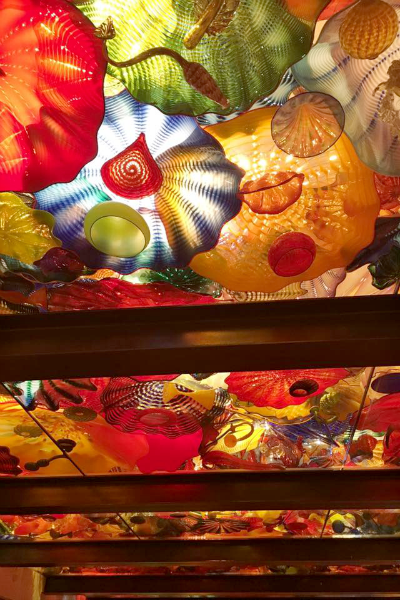 As you walk through, the glass ceiling above is full of Persian glass pieces. There are so many colors and patterns that it feels like walking in a kaleidoscope. I think Mille Fiori is the biggest installation in the gallery. It reminded me of a whimsical Dr. Seuss garden. All of the galleries are really impressive, but the Ikebana and Float Boats was probably my favorite. I just love all of the shapes and colors and how they stand out in the dark room. One you leave the gallery, you can walk through the Glasshouse. 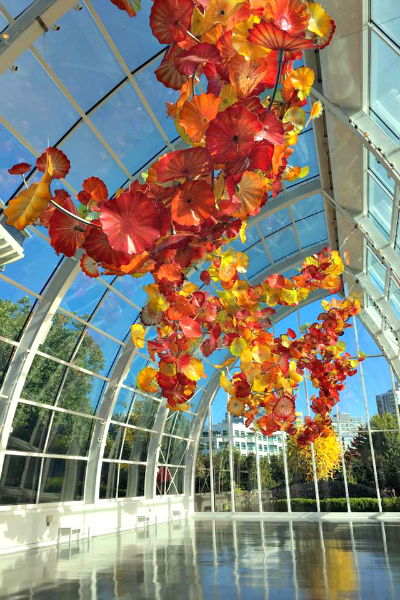 It’s like a giant greenhouse with red, orange, and yellow glass flowers weaving along the ceiling. You can see the Space Needle from the Glasshouse, so it’s a really cool view and experience. From there you can walk through the garden. There are pieces incorporated all throughout the garden. It’s so pretty and we were lucky that the weather was perfect that day so we had plenty of time to explore and enjoy. We ended our visit by walking through the chandelier hallway. The chandeliers are all different colors and shapes. Some of them look similar from afar, but close up the forms are all different. Of course you exit through the gift shop, but the gift shop is actually really cool and features a lot of local, handmade items. 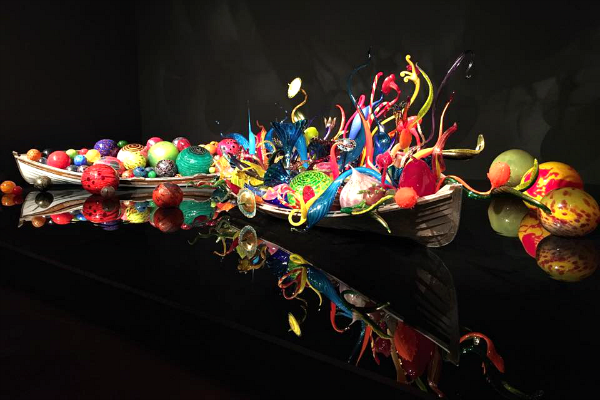 You can also buy a small Chihuly bowl if you have several thousands of dollars to spare. I’m putting it on my list for if I ever win the lottery! 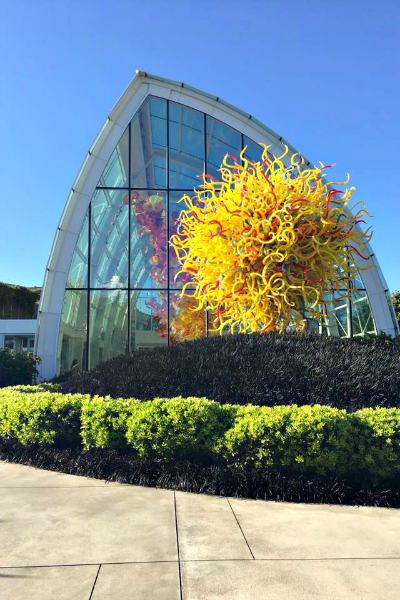 Chihuly Garden and Glass is open daily from 8:30 a.m. to 8:30 p.m. (9:30 on Fridays and Saturdays). It occasionally closes early for events, so be sure to check the calendar online. Tickets are kind of expensive ($29 for adults), but if you’re planning to visit the Space Needle you can get a combined ticket for $49 and save $9. Tip: You can save even more if you go first thing in the morning! Regardless, it’s totally worth the money in my opinion. It’s a must see! 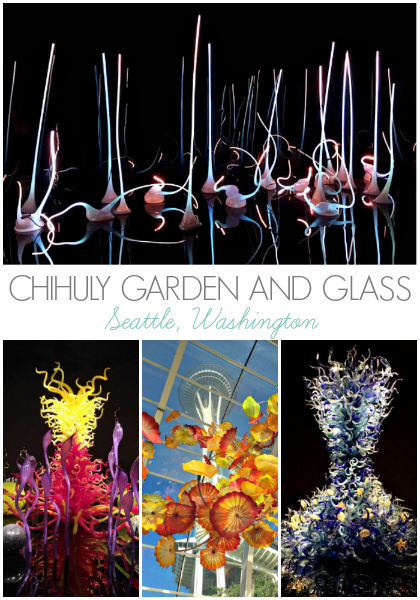 Have you ever been to Chihuly Garden and Glass? Or one of his other exhibits? He had his work at the Desert Botanical Gardens here in Phoenix a few years ago and I’m so bummed now that I missed it. P.S. My thoughts are with all of my readers (and their family/friends) impacted by Harvey. The photographs and videos that I've seen are devastating and I can't even begin to imagine what those affected are going through. If you're looking for ways to help, this article has a great list of food banks, animal rescue groups, and other local services that need donations. Wow!!!! Real work of art! I've been very interested in glass blowing too. 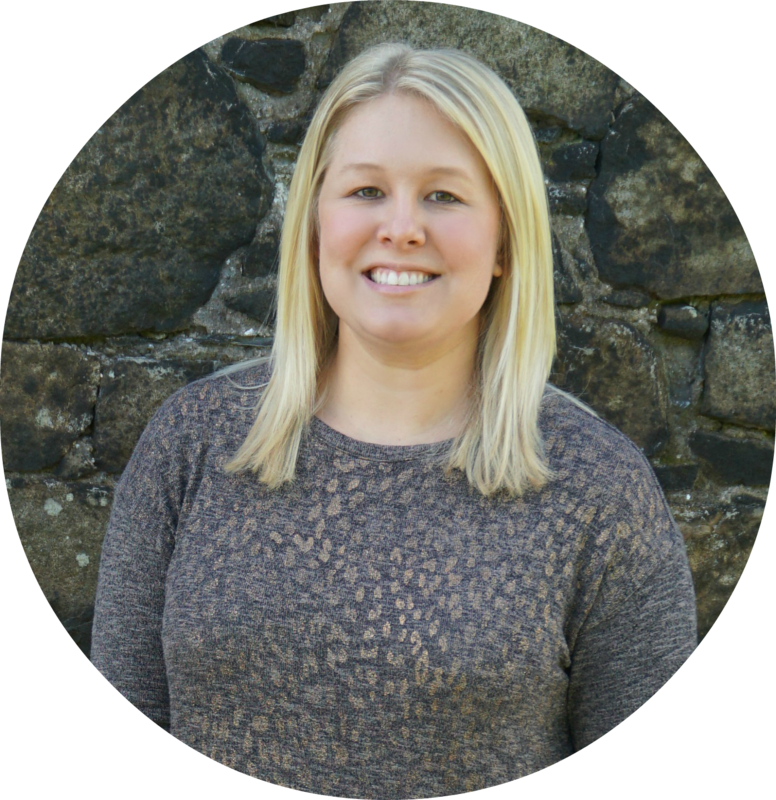 It's such a cool thing to learn and it may be a great business idea. It looks you were having a great time! My goodness this place looks fantastic! I've always wanted to go to Seattle and this will definitely be added to my list of places to visit. 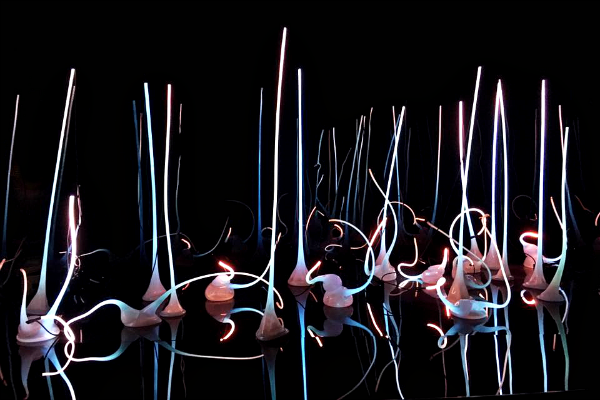 Chihuly art is always so pretty. We just saw some pieces at the Crystal Bridges museum in Bentonville and they were gorgeous!! 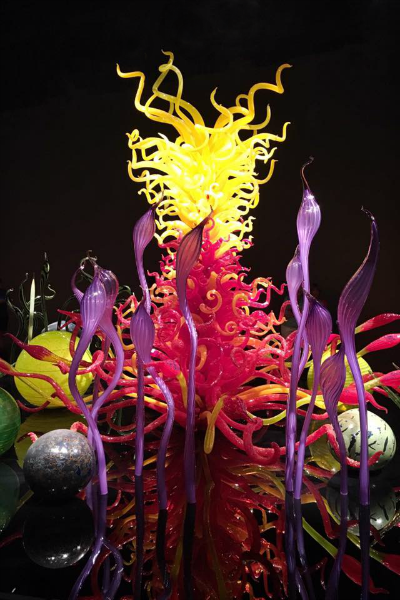 Chihuly is amazing. Just amazing. There is a large installation in Indianapolis at the children's museum and it is mind-blowing! I can't imagine a whole museum of it. I'm not a huge fan of museums myself, I'm always up to go but it's not my favorite by any means. 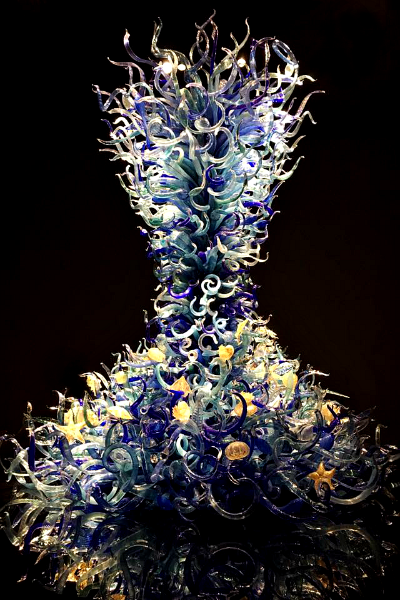 This looks pretty intense...I would be scared the glass sculptures might fall!! I'm not a huge fan of museums either, but I absolutely loved this one! Amazing!!! 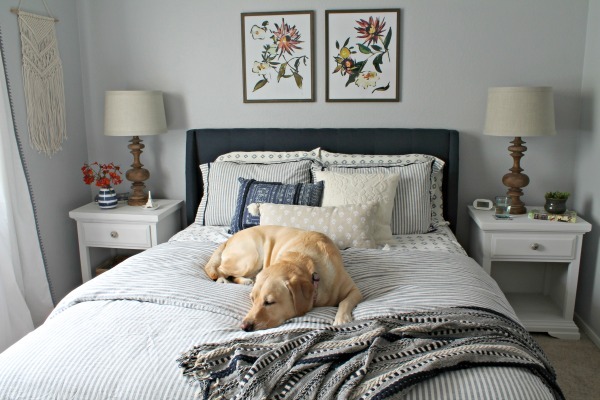 A pretty work of art! I'm interested in glass blowing too. It's a great idea for business. First, I love the name of your blog. 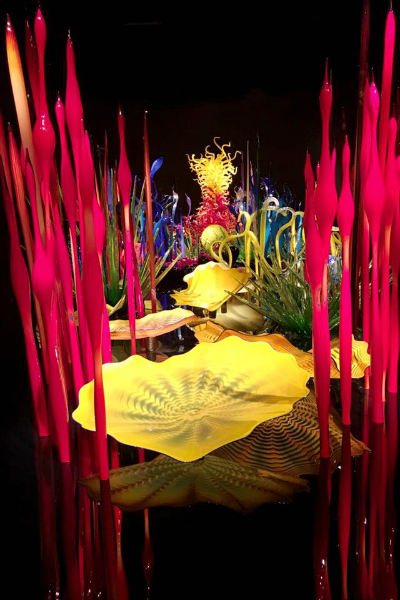 Second, Chihuly Garden and Glass sounds and looks like a lovely place to visit. I would be in awe with all that glass and the gorgeous colors. 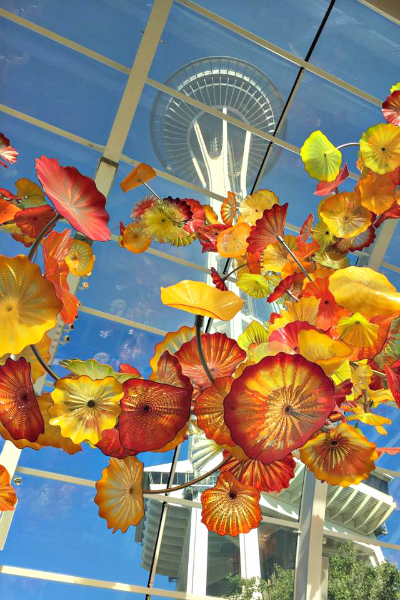 Chihuly Garden and Glass is gorgeous. I am glad you shared such beautiful pics .I actually went back and saw them again. Wow, that is some beautiful art! I would love to visit this place. Wow!! These are absolutely incredible. I was actually at a Fall Festival event and they had a glass blower there. Watching people spin and manipulate glass is mesmerizing. I can't even image the detail and work that went into making these pieces! beautiful! This show just came here to NY my friend went to see it last weekend. I would love to see this in person. Found you from Life's Sweet Journey link up!